Ahead of this year's L.A. Auto Show, Toyota has released a teaser image and a name for its latest concept. It's called the FT-AC, which stands for "Future Toyota Adventure Concept." That name alone implies something rugged and off-road-ready, and what we can tell from the image confirms it. We can see that the truck has big, chunky plastic fender flares and thick roof rails. At the top of the windshield are auxiliary off-road lights that complement the big LED fog lights in the bumper. The bits of sheetmetal we can see also look angled with simple lines to emphasize toughness. We can't tell much else from the teaser, but we think that this concept is also an indication that Toyota is very interested in launching a new off-roader of some sort. 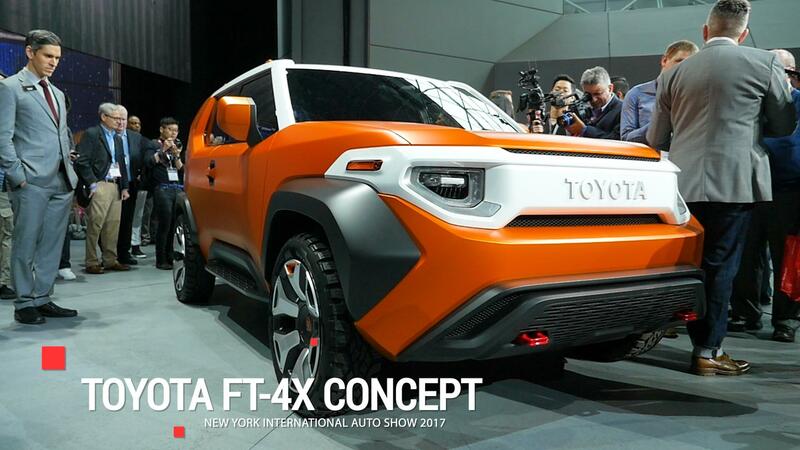 This comes from the fact that we already saw another chunky, dirt-road friendly Toyota concept with the FT designation at the New York show, in the form of the FT-4X. It will be interesting to see what size this FT-AC is. If it's similarly sized to the compact FT-4X, it could be that Toyota is figuring out what styling and features people want most for a future crossover or SUV. We'll know more about this new concept when it is fully revealed on Nov. 30.